In a statement that comes after opposition parties including the Congress targetted the BJP for demanding cuts, Thenandal Studios Limited said the BJP's objection was justified from its perspective. Chennai: Amid the row over references to the GST in Tamil superstarVijay's new film, 'Mersal', the company that produced the movie said on Saturday that it was ready to remove the "misleading portions" of the movie if required. In a statement that comes after opposition parties including the Congress' Rahul Gandhi also targetted the BJP for demanding cuts, N Ramasamy of Thenandal Studios Limited said the BJP's objection was justified from its perspective. 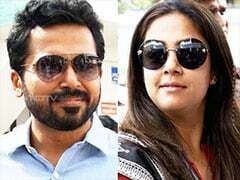 The BJP in Tamil Nadu had demanded that the production house remove the dialogue which, "mistakenly or intentionally" was "misguiding and defaming" the country. Mr Ramasamy underlined this wasn't their intention. "The film is only about quality healthcare for ordinary citizens and not against the government," he said. One scene in the movie, in particular had upset the Tamil Nadu BJP. In this, actor Vijay's character, in handcuffs, raises the government's inability to provide healthcare despite high GST, or Goods and Services Tax rates. "Singapore which collects 7 per cent GST offers free healthcare but why isn't our government that collects 28 per cent GST giving free healthcare? 12 per cent GST for medicine but liquor that ends the marriage of our mothers doesn't come under GST," the actor says in the movie. The BJP has contended the claim that Singapore provides free healthcare isn't true. "It is compulsory that 10 per cent income will be taken as savings in Singapore and that will be used for insurance," the state BJP spokesperson Narayanan Thirupathy told NDTV on Friday. 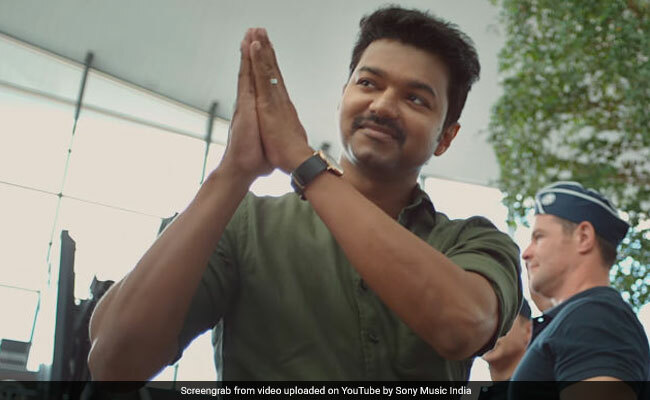 Actor Vijay hasn't spoken on the controversy but his father and noted film director SA Chandrasekar contended there was nothing wrong in what his son says in the movie. "Even BJP leaders have criticised GST and demonetisation," Mr Chandrasekar said after the controversy broke out. By evening, another superstar put his weight behind Mersal, pointing that it had been cleared by the film certification board. "Don't re-censor it. Counter criticism with logical response," Tamil cinema Kamal Haasan tweeted. Today, Congress leaders too waded into the controversy with party vice president Rahul Gandhi asking the BJP not to try to "demon-etise Tamil pride". Congress leader P Chidambaram also attacked the BJP, tweeting, "Law is coming, you can only make documentaries praising government's policies". Earlier in the day, South Indian Artistes' Association had also backed Team Mersal, saying "demand for cuts after the film gets the board's certification questions freedom of expression. No cuts should be made for anyone. Cuts after certification would lead to bigger problems." The BJP had responded to such criticism, saying the certification board had committed a mistake. "They ought not to have allowed this," said state BJP spokesperson Narayanan .